This article was originally published by Carnegie Europe on 24 August 2017. Unlike most other national ministers, EU defense ministers do not meet at their own intergovernmental council. Instead, they meet informally, while formal decisions are approved at the foreign ministers’ council. Compare this with NATO, where defense ministers hold equivalent formal sway to their foreign ministry counterparts. A formal EU defense council would encourage peer pressure among defense ministers and would more generally help educate national defense ministries in the workings of the EU. Most European defense ministries know and value NATO much more than the EU. This is partly because for the 22 countries that are members of both organizations, NATO is more militarily important than the EU for their national defense. But it is also because many national defense ministry officials and armed forces personnel spend time working at the Atlantic alliance. Roughly 4,000 people work at NATO headquarters in Brussels (not including the thousands working at other NATO agencies elsewhere, such as Allied Command Transformation in Norfolk, Virginia), whereas there are only around 400 real defense jobs at the EU. 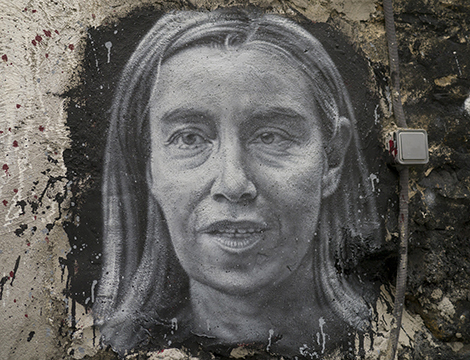 Mogherini currently leads EU military cooperation, but her portfolio is very broad because it encompasses all aspects of EU external action, from defense to diplomacy to development. Despite her unwieldy agenda, she has proved her worth by convincing EU governments to sign up to a number of new military initiatives. However, she has neither the time nor the resources to sustain the current political momentum on European defense. National governments require both foreign and defense ministers. Similarly, EU governments should give Mogherini a deputy to promote their military cooperation. Mogherini’s defense deputy could chair the regular meetings of EU defense ministers and oversee the work of the European Defense Agency, the EU Military Committee, and the EU Military Staff. In particular, she or he should take on the crucial role of pushing for more effective military capabilities by pressing governments to meet their promised contributions to the EU’s equipment goals. For instance, the defense deputy could publish an annual progress report on EU military plans and then name and shame those governments that fail to fulfill their commitments. To be effective, an EU defense deputy would need ample experience of military matters and the personality to command respect. Current defense ministers such as Ursula von der Leyen of Germany or Jeanine Hennis-Plasschaert of the Netherlands would be ideal candidates. Mogherini, along with EU foreign ministers, should retain overall responsibility for EU military cooperation, providing political guidance for EU military operations and ensuring coherence with nonmilitary projects such as development aid. But the creation of a defense deputy would lessen the workload of the already overburdened Mogherini and help strengthen the involvement of national defense ministries in the EU. Former French prime minister Georges Clemenceau famously remarked during World War I that “war is too important to be left to the generals.” If EU defense plans are to add military value, EU governments should realize that defense policy is too important to be left to the diplomats.